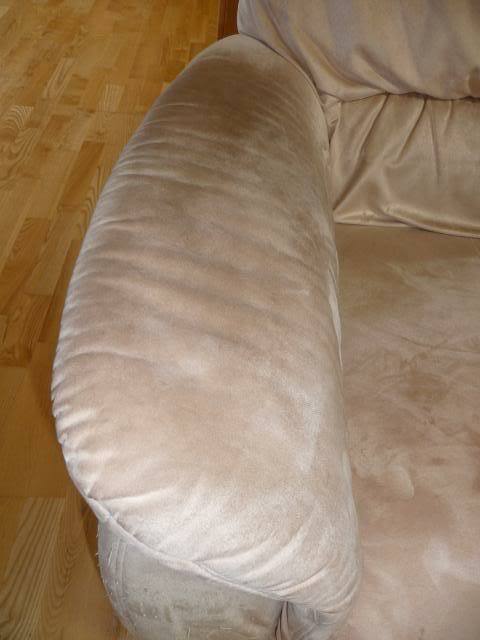 Microfiber / Ultra Suede upholstery cleaning. – The Connoisseur Carpet Cleaning blog. Combining the aesthetics of the finest suede with advanced performance specifications, Ultrasuede® is the world’s most exclusive ultra-microfiber fabric. It is engineered to provide ultimate luxury over a wide range of applications. From fashion to furnishings, aircraft cabins to yacht interiors, casual footwear to industrial hardware, the most demanding designers insist on Ultrasuede® for their most challenging and creative applications. That’s because no other fabric offers Ultrasuede’s unparalleled combination of luxury, appeal, performance and ease of care. Ultrasuede® comes in a range of weights, thicknesses and finishes to meet the unique demands of literally hundreds of products. Well that is what the salesmen will tell you anyways.. 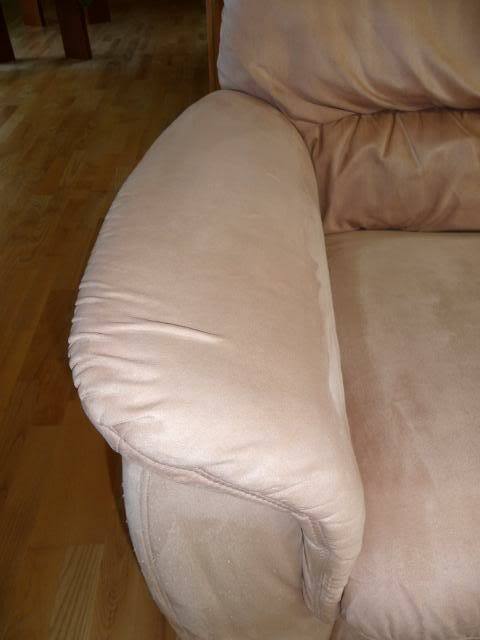 Ask any experienced professional Upholstery Cleaner and you most likely will hear a different tune. While most Micro Fibers do clean up nice they can be a bear to spot clean by end users with out leaving water rings once the piece is soiled over the whole panel. Ultra Suedes and the like also tend to tear and scratch easily and the thinner weight fabrics are easily damaged by pet’s toenails. Don’t believe the claims that these new “miracle” fabrics are un-stainable either. Synthetic dyes can easily become part of the permanent landscape if not cleaned up quickly. Generally, microfiber is a mixture of polyester and polyamide (a nylon by-product) available in a mixture of 80/20, 75/25, or 70/30 etc polyester and polyamide ratios. Microfibers can be available alone or mixed with usual denier man-made fibers as well as with natural fibers such as cotton, wool, silk even rayon too. Micro-fibers are made from polyester, nylon, rayon and most recently acrylic. They also can be blended with other fibers including Lycra spandex. These mixtures improve the look; adorn and the performance of the fabric. Micro-fibers can be woven or knitted into a wide range of fabrics such as satin, faille, crepe, twill, taffeta and broadcloth. A variety of microfibers and its finishes improves the appearance and experience like silks, sand washed, or a leather and feather look. Generally the blends the contain a natural fiber will not clean up as well as a purely synthetic composition. Enjoy your new and improved “Micro” furniture but don’t expect it to last generations like your Grandmother’s Davenport did..
« Thanks for looking at our site, here is your reward!! » Yelpers Love Us!